To create that exquisite bridal look, Amelin uses a well-balanced color combination. The shades are intensified at the edge of the eyes with a wash of lighter tint over the eyelids, to match the more subtle rosy lips. Cream highlighter with a tinge of shimmer is applied on the inner corner of the eyes which is shaped like a 'V' (also known as Inner-V) to make the peepers pop. Together with accented lids, lashes and manicured brows, they can add so much dimension to the eyes. 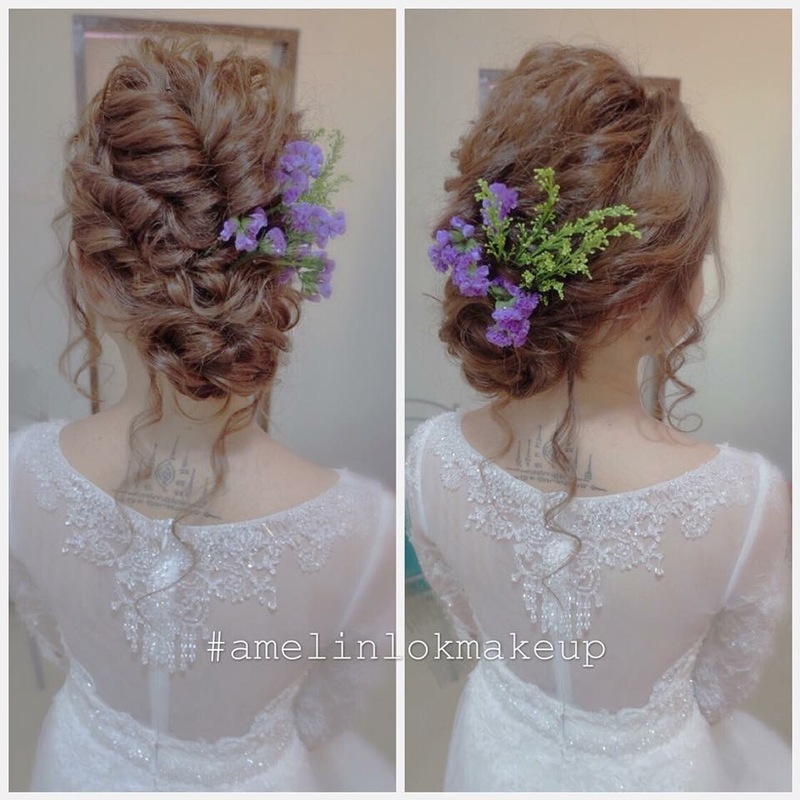 For the hair, Amelin goes for the casual plaited buns or soft curls, which look awesome and at the same time not too rigid. Gorgeous curls with tendrils are perfect in shaping the face harmoniously. 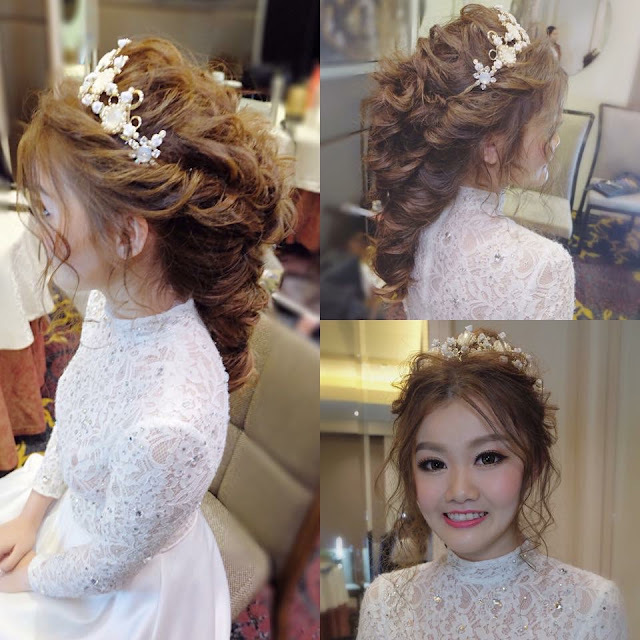 Classy, well-design vintage hair is also the trend now. To create that exquisite bridal look, Amelin uses a well-balanced color combination. Vintage curls. Perfect eye makeup. Cream, highlighter, shimmery shadow is applied on the Inner-V of the eyes to make the peepers pop. 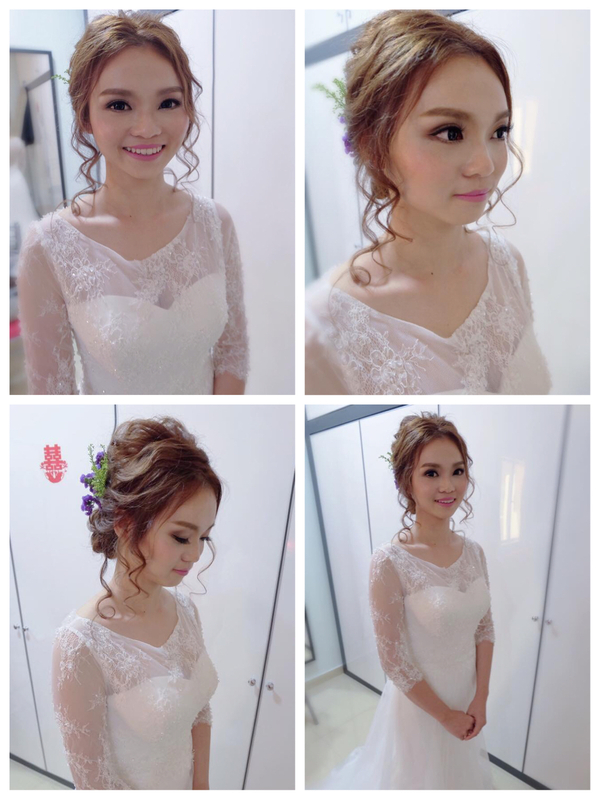 Amelin did a great job on my wedding! 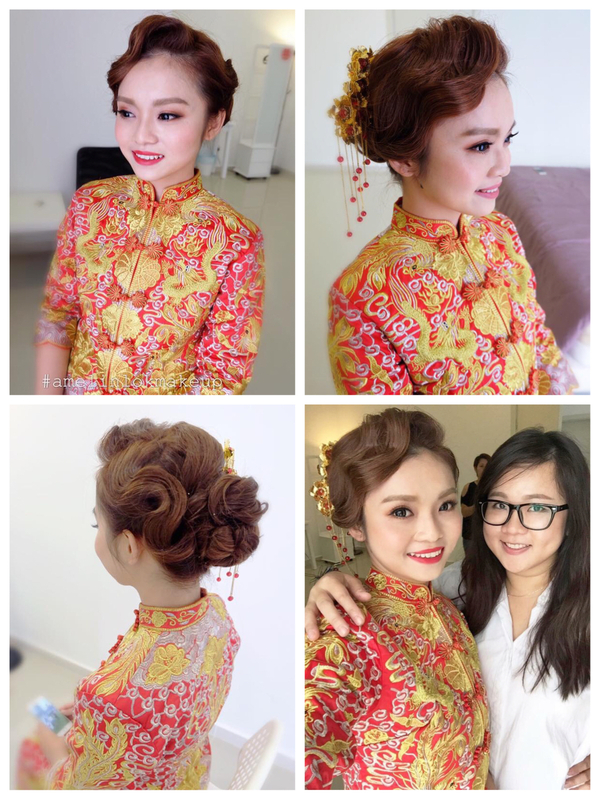 Highly recommended for wedding or the event make-up. 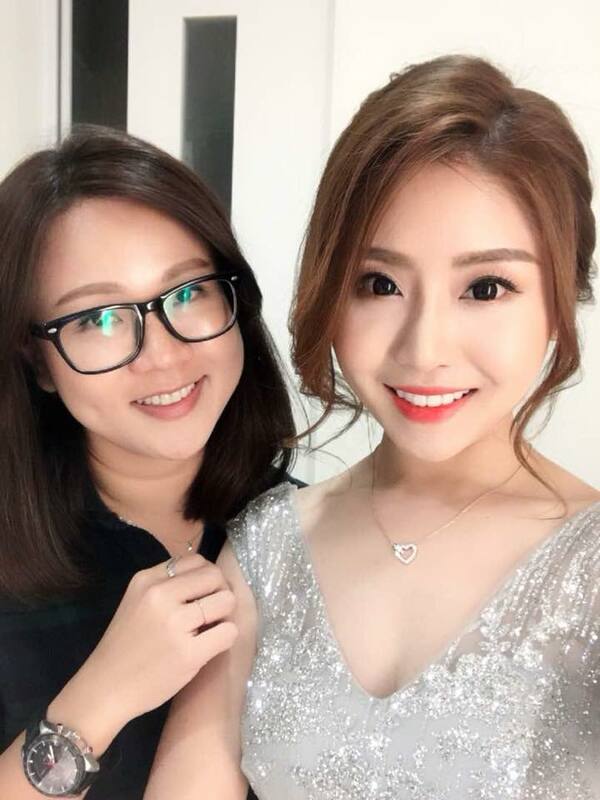 She will definitely make you look gorgeous on that day. Thanks Amelin!